One in eight women will develop breast cancer sometime in her lifetime. What’s more, breast cancer is the second leading cause of cancer death among women. But the five-year survival rate is 97 percent if the cancer is detected early. That makes regular, effective screening the best defense. With that in mind, the Augusta University Breast Imaging Center implemented 3D breast tomosynthesis as a screening method. When it began in 2011, it was the first health system in Georgia to have this type of screening and one of only a few in the nation. “To help us achieve the earliest detection rate possible, we offer ALL of our patients 3-D mammograms,” Kellie Bedenbaugh, Lead Technologist at the Augusta University Breast Health Center says. If you are still having your cycle, the best time to image is 2 weeks after you start your period. Conventional 2D mammography captures the breast in one exposure, creating a flat picture in which features can be hidden. Breast tomosynthesis, also known as 3D mammography, produces a 3-dimensional image of the breast. This method takes images from multiple angles and builds them into an image that radiologists can manipulate. By digitally combining multiple X-rays, it reduces distortions created by tissue overlap or density and creates clearer, more detailed images. It’s like looking into a ball versus looking at a circle. Tomosynthesis also screens the entire breast, not just the problem area. This is important because 15 percent of women with cancer in their breast also have another cancer in the same breast or other breast. Women also report greater comfort and less pain with 3D screening. The compression is not as great and each image takes about 5 seconds, four images equal a total of 20 seconds of compression. The technologist will walk you through every aspect of the imaging process and we strive to make patients feel safe and relaxed during the process. 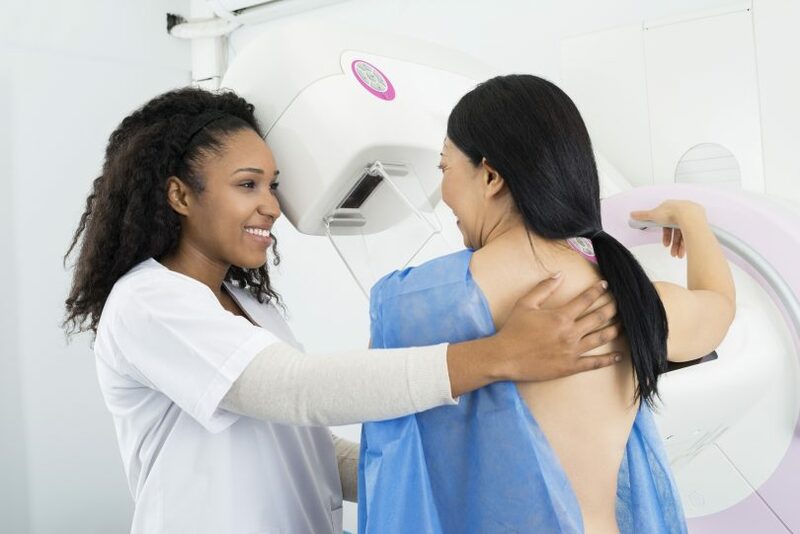 “3D mammography has resulted in significant improvements in cancer detection and fewer “false alarms,” or callbacks after a screening mammogram,” says Dr. Karen Panzitta, radiologist at the Augusta University Breast Imaging Center. All of these advantages mean increased survival rates and treatment options for patients. The Augusta University Breast Cancer Health Center works closely with the multidisciplinary breast cancer treatment team at The Georgia Cancer Center. Learn more about the Breast Health Center or schedule your 3D mammogram today at augustahealth.org/breasthealth.